The Gotham Ballers Inc offering is now closed and is no longer accepting investments. Champions Basketball League is an exciting brand of sports with unique programming that is all about the fans. The 16-team professional summer basketball league begins in July of 2017. Every player recently played in the NBA! You already know and love these players! With us, you&apos;ll be watching hundreds of your favorite recent NBA players battle it out each July, August with a Championship in September. 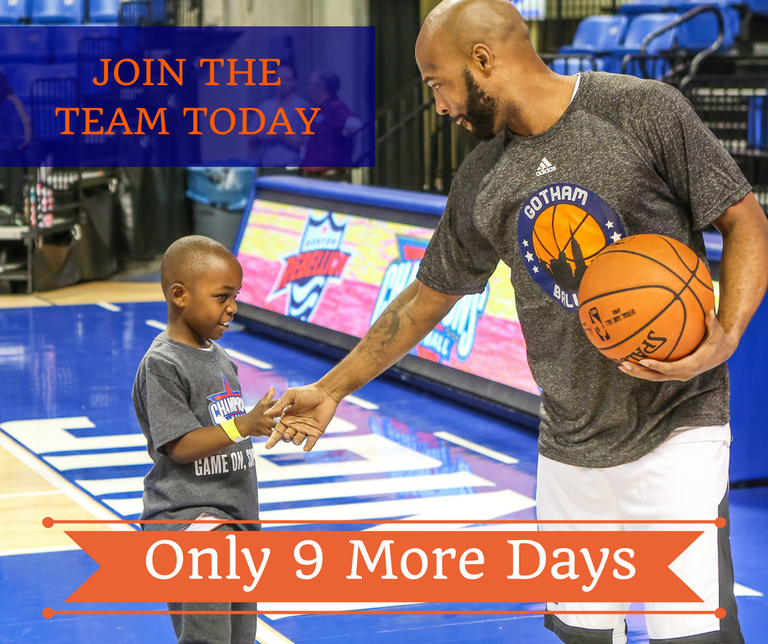 We also host year-round charity events, camps and community-based programs in all 50 states and connect fans and athletes through a bold new sports marketing model, with tickets priced at just $25 that include a meet & greet and a pregame youth shootaround with the players. Be in on the ground floor and own a piece of the fun today. * During the summer season all game tickets can be sold on StubHub. “Wish we were playing today - I’m fired up”. Community is at the heart of the New York Gotham Ballers and the Champions Basketball League. 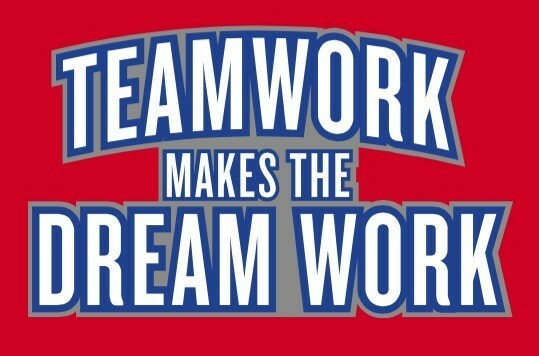 Our teams will help bring sports and the community together. What is extra special about the Champions League is that every single player to be a part of the League has committed to serving their community. The communities where they grew up, played in college and played professionally. They&apos;ll feel great and you&apos;ll feel great for helping make it possible. These memories will travel on and off the court. Leadership from Gotham Ballers and other Champions League teams will empower community youth and their parents, teaching about nutrition and well-being, good sportsmanship, and the importance of a healthy lifestyle. The Gotham Ballers will host camps, clinics and school programs across the New York public school system year-round. So when fans become owners, their participation supports a greater good. Imagine owning a piece of a pro sports team. 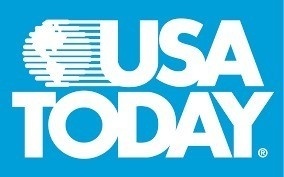 The average NBA team has gone up in value over ten-fold in the past 20 years according to Forbes Magazine. This is an investment that you will definitely enjoy owning. 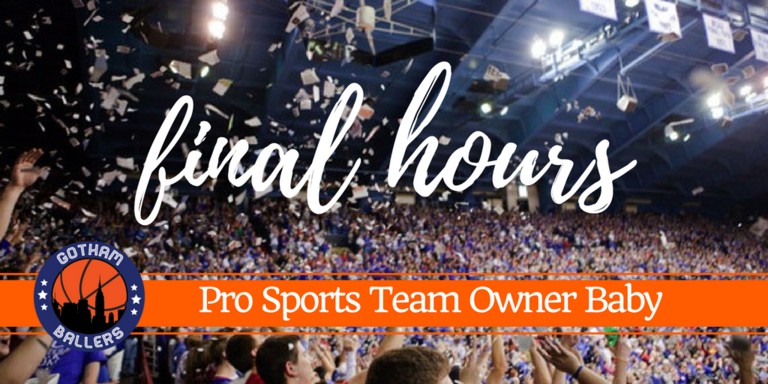 The best seats, the best parking, free access to practices that only owners can attend, exclusive parties for owners, a special nationwide social network that only owners will have access to, and much more. Enjoy the game as NEVER BEFORE with players STRAIGHT OUT OF THE NBA. Like many of you, I wanted to be a team owner. Be part of something great. Entertain and have fun and be a hero for my community. Champions League is that opportunity. The Gotham Ballers, our league&apos;s team that will play in New York City, is composed entirely of former NBA players, including All-Stars. The roster includes Shawn Marion, Kenyon Martin, Al Harrington and other world-famous talent. The team is now part of the Champions League, playing games during NBA off-season, taking over the summer. ESPN is our broadcast partner. You&apos;ll see many of your team&apos;s games on both Internet and national broadcast TV. The Gotham Ballers are also part of our mission to connect with local schools across the country. Since early 2016 we have worked with school districts in the Bronx and Manhattan, and we will change lives of kids for the better, on a regular basis. See the video below for more on this great, great mission using fantastic players who the kids love! You can be an owner. Being a fan is great, but the special privileges of ownership are now available to you. I invite you to join us in Gotham Ballers and help us build a great basketball team, have a ton of fun and improve our communities together. “We are very, very excited about this,” said Bernt Ullman of StarBranding, a New York based Gotham Ballers team owner. Bernt Ullmann is the President and CEO of Star Branding Equity Holdings (SBEH), a critically acclaimed licensing and brand management consumer focused partnership between Tommy and Andy Hilfiger, Joe Lamastra and Mr. Ullmann. Founded in 2009, the group specializes in creating, incubating, developing, marketing and distributing leading global lifestyle brands. No intended irregular use of proceeds is reportable as none of the following examples will exceed $10,000: vendor payments and salary made to related parties, friends or relatives; any expense labeled “Administration Expenses” that is not strictly for administrative purposes; any expense labeled “Travel and Entertainment”; or any expense that is for the purposes of inter-company debt or back payments. For famous basketball stars who have spent most of their lives being among the world's best at what they do, a new post-NBA summer home will soon exist: the Champions Basketball League. Champions is still on schedule to begin league play in the summer of 2017, and the early word is, things couldn't be going better. 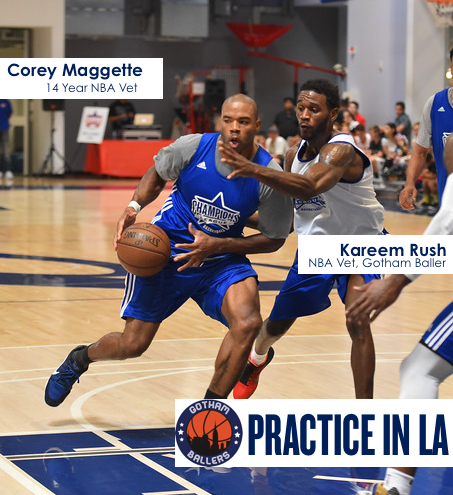 Nostalgic New Yorkers will get the chance to see four-time NBA All-Star Shawn Marion and former Pacers point guard Jamaal Tinsley, along with fading stars such as Kareem Rush. Ex-Nets Tyshawn Taylor, Terrence Williams and Josh Childress are also on the roster. Shares will be offered on a continuous basis until either 1) maximum number of shares or sold; 2) company at its sole discretion withdraws this offering; 3) March 31, 2017 unless extended by the company until December 1, 2017. If the Company reaches its target amount prior to March 31, 2017, the Company may conduct the first of multiple closings, provided that investors who have committed funds will be provided notice five business days prior to the close. The Company valuation is $80,850,000. Last Chance: Own A NY Pro Sports Team. It&apos;s time to take your shot. Last chance to be a pro team Owner. 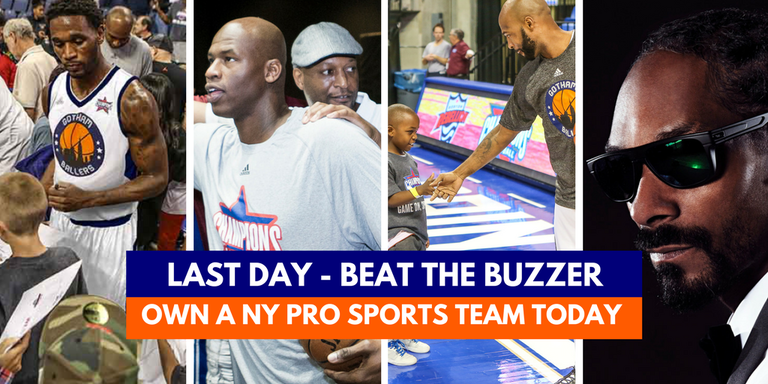 LAST DAY: Beat The Buzzer Own A NY Pro Sports Team. Fans first basketball with all the Pro Ballers you know and love. Breaking News: Snoop Dogg Joins Champions League. 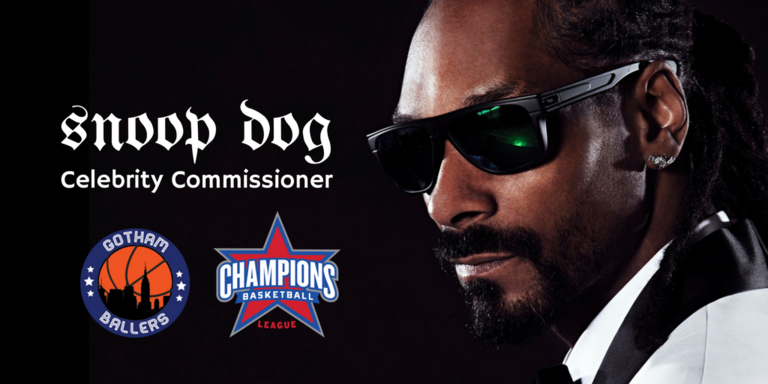 Sports and music fans alike will be thrilled to learn that Champions Basketball League has named legendary entertainment icon Snoop Dogg as Celebrity Commissioner and Owner. Announced today, the world-famous music artist, actor and entertainment superstar will in his new position launch an expanded effort to integrate music and celebrities into the fabric of our Champions Events. Snoop is perfect for the role. He combines global star power with a genuine love for the game of basketball. An icon who connects fans and celebrities across the worlds of music, film, television and digital entertainment. Champions is proud to bring him aboard. The Champions Basketball League (www.ChampsHoops.com), launching in major cities around the United States this summer, features a July and August regular season followed by an epic playoff tournament in September, is a league built for fans. Adding Snoop to our family means more music, celebrities, entertainment, unique experiences and fun for you, the sports fan who wants more. Champions offers fans the opportunity to own a piece of a pro sports team you can see more here: https://www.startengine.com/startup/gothamballers. Welcome, Snoop! We are thrilled to have you help build the League. Only 4 More Days To Own A Piece of the Gotham Ballers. There are only 4 days left to investment or upgrade your investment to a higher Perk Package. Only 9 More Days Gotham SuperFans! Only 10 More Days To Own A Piece of the Gotham Ballers. There are 10 days remaining in the teams SuperFan Owner offering - and we are thrilled with all the fan support! Thank you for your support and your messages. 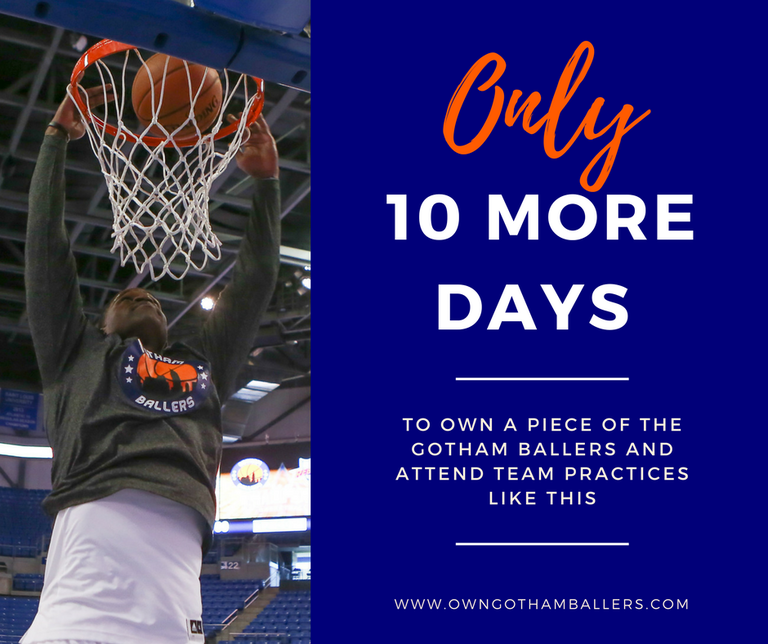 For the next 10 days or until our max is reached, you can invest in the Gotham Ballers or increase your shares to move to a greater Perk Package. If you are an existing investor with questions please email us at SuperFanOwners@GothamBallers.com - we love to hear from you. Gotham Ballers SuperFAN Owners Steps. This is an exciting time for the Gotham Ballers! We are thrilled to welcome you as a SuperFan Owner. We wanted to share some details regarding the Investment Process you have been asking. Investors receive an email from Start Engine that their investment has cleared. YEAH! After a Posted Close Date it takes Start Engine 10 business days to send your confirmation email that you are an Owner! Investors information is sent to the Gotham Ballers at the same time and we then send first your Welcome Letter (email) and then a Perk Confirmation email with a link for you to complete your shipping information and sizes for owners shirts and jerseys depending on which package you invested in. Welcome to the Gotham Ballers as a SuperFan Owner! Gotham Ballers has had three completed Closes and our next one we posted on Friday April 7th. Our main goal is to bring our new SuperFan Owners onboard easily and process everyone’s investment and Perks. February 24th Close: Investors have received two emails: A SuperFan Owners Welcome, and the Perk Confirmation Email (Shipping address, sizes, Perk Partner, etc) email. March 23th Close: Investors have received two emails – A SuperFan Owners Welcome email and the Perk Confirmation email. April 5th Close: You will receive you SuperFan Owners Welcome tomorrow and your Perk Confirmation on Wednesday April 12th. You will be a part of the next Close if your investment has cleared all the above steps before 4/14/16. THANK YOU AGAIN for being a part of the Gotham Ballers! Gotham Ballers is Pleased to Announce Its Upcoming Closing! Thank YOU from YOUR Gotham Ballers! The Gotham Ballers will be conducting our next closing in as little as 5 business days. If your investment is completed and your funds have cleared you will be a part of the closing and become official shareholders in the GothamBallers. You will have up to 48 hours prior to this closing to cancel your investment. The equity crowdfunding offering has been an exciting and rewarding journey for our team, our management and for the future of summer professional basketball, setting the stage for an exciting new chapter in summer sports. There is limited time left until the campaign officially ends, so we encourage you to promote our offering to your network. When Will The Perks Begin to Arrive: Once this closing is complete you will get your first email from the Gotham Ballers directly and with details on the Perks and next steps. This can take up to 10 days – so we will patiently wait to communicate with you…. It’s hard to wait, we are eager to Emeet. Can’t Wait to Hoop It Up: Again thank you for being on the team. Thank you for believing in this sports innovation and together we will create the most fan centric league in the world. Thank You - 1000 Investors! a new way for fans to be involved in sports. Gotham Ballers RegulationCF SuperFAN Owners Offering Extended! 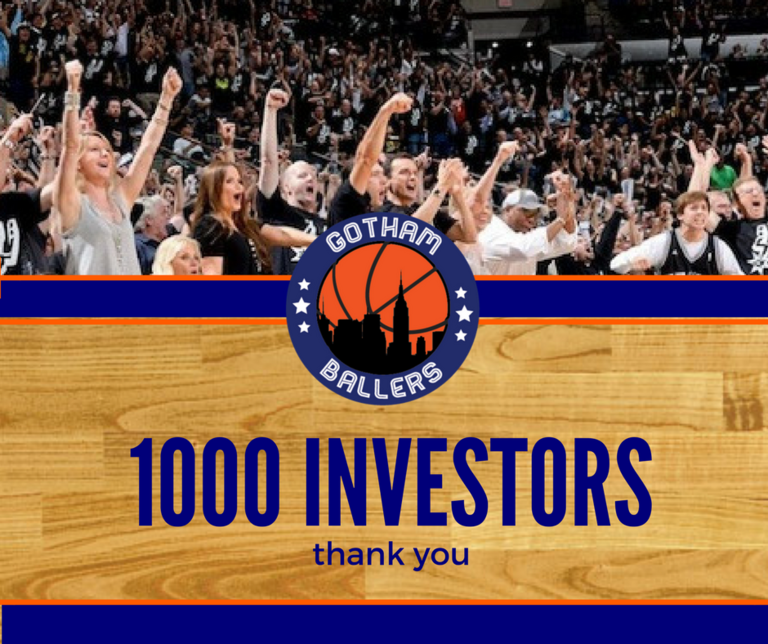 What an exciting experience for the Gotham Ballers, to have more than 950 SuperFanOwners. For those that invested: THANK YOU! Together, we are building the most fan-friendly league in the world. We have been flooded with requests to extend the offering so even more fans can get involved, and so existing investors can expand their investment. 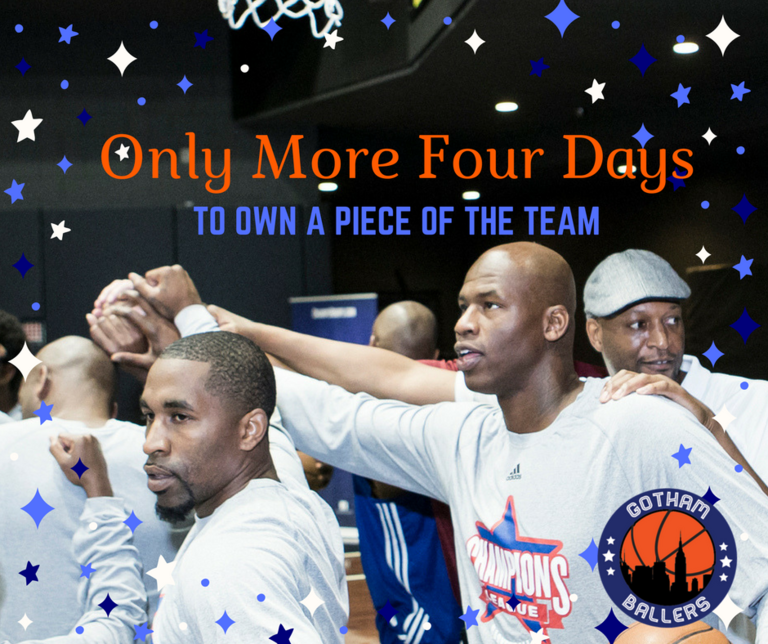 And since we are a league built for fans, the Gotham Ballers will officially extend the offering through April 28th. The perks do not change, and implementation on the perks for those who closed will move forward as previously planned. The extension will simply allow more fans to become owners and join in the fun! The offering will be extended until April 28th, or until our maximum is met, whichever comes first. NOTE: Some investors will receive a separate email shortly from StartEngine asking them to reconfirm their investment as required by the SEC when extending the campaign, this is just a standard practice. We appreciate your joining our team. It is going to be a great summer. As a special thanks to all those that have invested, we will host our first Owners Only Conference Call with Coach John Wallace, 2x Champion, 3x All Star and Champions Basketball League President of Basketball Mark Aguirre, and Champions Basketball League CEO Carl George for those that have invested by the March 31st close. All Owners will be emailed the call-in number and password mid-April. The call will be on Thursday, April 20th at 6pm Eastern. The call will be recorded and a link will be sent to all Owners in case you cannot make it. THANK YOU! Together, we&apos;re changing sports. And together, we cheer OUR team. Gotham Ballers is Pleased to Announce Its March 31st Close. The Gotham Ballers will be conducting our closing in as little as 5 business days. If your investment is completed and your funds have cleared you will be a part of the closing and become official shareholders in the GothamBallers. You will have up to 48 hours prior to this closing to cancel your investment. When Will The Perks Begin to Arrive: Once this closing is complete you will get your first email from the Gotham Ballers directly and with details on the Perks and next steps. We can’t wait! Investors in The First Close: You have received your Welcome Email, a Steiner Sports News alert and will receive an email regarding perks in the next few days. If you have not received any emails, please send a note to SuperFanOwners@GothamBallers.com - and we will help you out. Investors in The Second Close: Gotham Ballers has not received your contact information yet from StartEngine yet. In the meantime, WELCOME to THE GOTHAM BALLERS!!! You will be receiving a Welcome Email this week and perk details soon – and we are thrilled to have you a part of the team! Beat The Buzzer - Only 8 Days Remain to Invest in the Gotham Ballers. 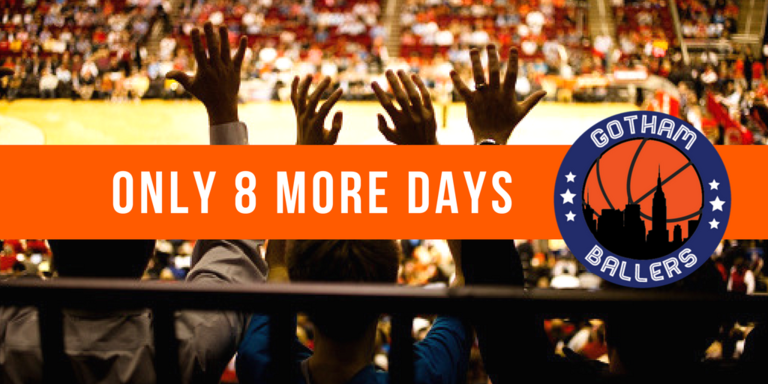 Join Our Sports Revolution: Only 8 Days Left to Invest. Thank you to all the investors in Gotham Ballers to date. Own a piece of a pro sports team today. Proudly Introducing Our Steiner Sports Partnership. NEW YORK – March 21, 2017 – The Gotham Ballers, a new professional basketball team made up of players straight out of the NBA as part of the Champions Basketball League, announced today a partnership with marketing powerhouse Steiner Sports. The partnership will connect a legion of engaged sports fans with the Gotham Ballers and Champions Basketball League, a dynamic professional summer basketball league, to provide unprecedented access and experiences for fans. This marketing partnership showcases the “Ultimate Collectable” from Steiner Sports, which is professional sports team ownership, now available for the Gotham Ballers. 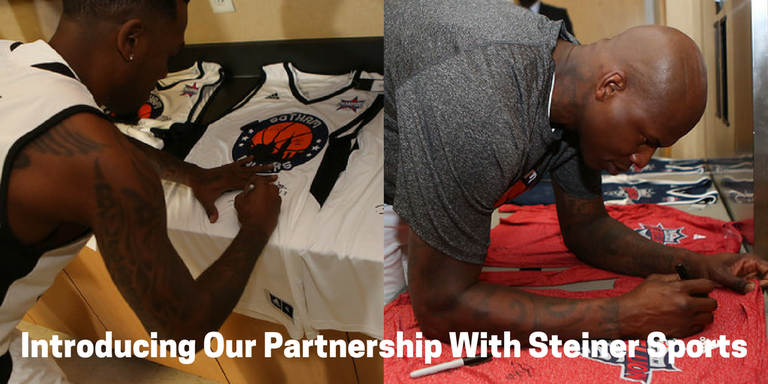 In addition, Steiner Sports will be a partner for game-used and autographed memorabilia for the 160 athletes in the league, including NBA All-Stars and Hall of Famers, and will work with Champions Basketball League to create exclusive events with the athletes for fans. Gotham Ballers is currently available for fan ownership by visiting OwnGothamBallers.com. Steiner Sports will begin to market this “Ultimate Collectable” to its vast network of sports fanatics immediately, as the two groups also begin to create other exclusive fan experiences to be held in the near future. Steiner Sports specializes in helping companies from new startups to Fortune 500s use the power of sports to grow their business. The core of Steiner Sports’ value proposition, allows companies to leverage its expertise, existing relationships, and $25 million annual athlete procurement spend. Steiner Sports determines what sports marketing strategy will benefit the company the most, providing access to the right athletes at the right time, negotiating contracts for the best deals, and measuring and analyzing results to ensure ROI. Steiner Sports has spent 30 years building relationships with more than 2,000 athletes, national relationships with the major sports leagues, and partnerships with the best teams in sports. Based on Steiner Sports’ comprehensive relationships with many of the marquee names in sports, they remove the traditional obstacles and put the most powerful business builders to work for you through athlete appearances, turnkey events, local and national promotions, and digital content. Steiner Sports is also the leading producer of authentic hand-signed memorabilia, which is perfect for loyalty programs, sales incentives, customer activation, and corporate gifts. We are happy to announce we are now over 450 SuperFAN Owners in the Gotham Ballers and we will be conducting our second closing in as little as 5 business days and will continue to accept new investments until we reach the maximum of $1,000,000 or the date of March 31st. If your investment is completed and your funds have cleared you will be a part of this closing and become official shareholders in the GothamBallers. You will have up to 48 hours prior to this closing to cancel your investment. Just Getting Started: The Perks are the same before and after this milestone – lots of great experiences for fans and this offering in the Gotham Ballers will continue to be available up to our$1,000,000 maximum. In The Game: If you want to raise your investment to put yourself into a higher Perk package now, of course you can do that. For example, if want to go from $140 package to the $500 package, you would purchase an additional52 shares or from the $500 package to the $1000 package, you would purchase an additional 72 shares – and then you would be in the higher Perk package. How About An Assist: How can you help? We love your Owners enthusiasm,please share it on social media – and invite others to check it out. Your team would really appreciate it. Investors in The First Close: Gotham Ballers has just received your contact information fromStart Engine, WELCOME to THE GOTHAM BALLERS!!! You will be receiving a Welcome Email this week with your login (for your Perk distribution, please complete you t-shirt/jersey sizing and other details) –and we are thrilled to have you a part of the team! Thanks to CBS SPORTS & Ananth Pandian for The Great National Feature Today. Smith, Tinsley and Harrington will play for the New York City-based Gotham Ballers, a team that has Walt Frazier and Earl "The Pearl" Monroe in their front office. But while Frazier and Monroe are managing the team, fans can actually become owners of the Ballers by buying shares of stock. These owners and fans will get exclusive benefits, and it&apos;s one way how the Champions League is truly embracing being a fan-friendly league. The fan and community aspect is one of the main reasons Harrington has decided to play in the Champions League. He has been linked to the Big 3 league as well but Harrington is "on the fence" about actually playing, prioritizing the Champions League instead. What attracted you to the Champions League? 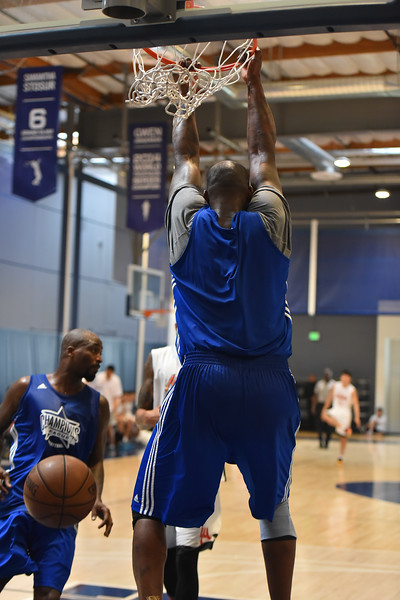 Al Harrington: I thought it was a great opportunity for older players to continue doing what they love. I think a lot of us retired before we were actually ready, but this gives us the opportunity to still go out and get those competitive juices out of our system. And the main reason I wanted to be a part of [the Champions League] is because the league is very community-oriented and that really hit home for me. Was the fact that you&apos;d be playing in front of fans one reason why you decided to play? AH: Yeah man, it&apos;s a huge difference. When you go to a gym and there&apos;s nobody there, it&apos;s not the same as playing in front of 20,000 people. When you got fans cheering and booing, it gets different emotions going in your body and makes it a lot more fun. Who are going to be some of your teammates on the Gotham Ballers? AH: We are still building the roster out, but right now: Jamaal Tinsley, Chris Smith, Josh Childress, Kenyon Martin and Shawn Marion. And is this going to be similar to the NBA? Like, are you guys going to practice and run plays? AH: I think we are going to have practices the night before games and we are also going to have a training camp and different things like that. During the season, recovery and keeping in shape is on us but at this point, we all know how to do that. We can do it in our sleep. Was the chance to reconnect with some of your former teammates and rivals in that locker room type of setting another reason why you joined the Champions League? AH: That wasn&apos;t one of the main reasons but I definitely missed it. I sit at home sometimes watching games and start to think about some of the stories and events that happened in my career. The locker room was just entertaining as the games. With these guys, all we do is reminiscence about when we played against each other or when we dunked on each other and different things. You were drafted out of high school. At that time, did you think you would have such a long career? AH: No, man. My story is kind of funny, I didn&apos;t start playing basketball until I was essentially in high school. I never dreamed about playing in the NBA as a kid but coach made me play because I was 6-foot-4. And I fell in love with the game and the game fell in love with me back, so I was able to have a great career that I will never forget. I&apos;m just blessed to have played for such a long time in the greatest league in the world. During your career, who had the greatest impact on you? AH: Antonio Davis, he took me under his wing from Day 1. He taught me everything I know. He taught me how to pay my taxes, write a check, manage my bank account and he taught me how to work. He made sure I was the first in the gym, and the last one to leave. He taught me the type of work ethic needed to survive in the NBA. Regret is a strong word but if you could change or do something different in your career, what would it be? AH: If I had one regret, I wish I never left Indiana, I should&apos;ve been a Pacer for life. I left thinking that the grass would be greener on the other side and it wasn&apos;t. But it still worked out for me, I was able to play for a lot of great teams with a lot of different players that I still have relationships with. It&apos;s not a real regret, but sometimes I wish I wore just one uniform my whole career. Those Pacers teams with Jermaine O&apos;Neal, Ron Artest and you were very good, why do you think you guys could never take the next step? Was it just because the Pistons were that good? AH: We were just young. That&apos;s why I said it was kind of a regret because if we all stayed together maybe two more years, we could&apos;ve gotten a championship during that era. It was right there for us. Even the year that I left and they had [the Malice at the Palace], I think that year even without me, they had a good chance of winning the championship. It is what it is. It was just an experience thing and the Pistons had a little bit more experience than we did. We were right there but what could you do? Are you surprised that Metta World Peace has shifted to more of a mentoring role in the later stages of his career? AH: The thing about Ron is that he is one of the most sincere, real guys you will ever be around. So despite all of the crazy s--- he used to do, you always respected him. And you just knew that if you got in a pinch, he would be there for you. That&apos;s invaluable and I think the Lakers see that in him and that&apos;s the reason why he&apos;s still playing. You also played with Carmelo Anthony, who seems to be always the subject of some sort of controversy. How was he as a teammate? AH: Melo is a good teammate. I never had any issues with him and he never had any issues with anybody in the locker room. He always got his work in, so you respect him from that standpoint and he came to play at a high level every night. Some people may have issues on how he played but from a teammate standpoint, we understood who he was and we valued him for that. I think that&apos;s the key to playing with a guy like Melo. Instead of trying to figure out what&apos;s wrong with him, you have to embrace his strengths. You also played with Stephen Jackson, who recently said he got high before games. Did that really happen? AH: I could only report on what I saw and I never saw him high before a game. I think he&apos;s bulls------- and I don&apos;t think he ever did that. One of the stranger moments in your career was when you got two technicals against the Clippers for hanging on the rim when you played for the Knicks. In both cases, the Knicks had the lead and then ended up losing to the Clippers. Do you remember those instances and what happened there? AH: Yeah, I remember. All I know is I see guys hang on the rim way longer than I did so that&apos;s just a ref calling what they wanted to call, when they feel like calling it. I see LeBron hanging on the rim, pulling himself up on it and they don&apos;t call it. That&apos;s such a high-school call. I don&apos;t even know why they call that in the NBA. Some things never change, here is Al hanging around at our last practice. Gotham Ballers is Pleased to Announce Its First Official Closing! Your Gotham Ballers have now exceeded our minimum funding goal and we will continue to accept new investments until we reach the maximum of $1,000,000 or the date of March 31st. Now that we have exceeded the minimum by 100% and we will be having our first closing in as little as 5 business days from today. If your investment is completed and your funds have cleared you will be a part of this closing and become official shareholders in the Gotham Ballers. You will have up to 48 hours prior to this closing to cancel your investment. The equity crowdfunding offering has been an exciting and rewarding journey for our team, our management and for the future of summer professional basketball, setting the stage for an exciting new chapter in summer sports. There is limited time left until the campaign officially ends, so we encourage you to promote our offering to your network and to be a part of the Gleam campaign for referrals. Just Getting Started: The Perks are the same before and after this milestone – lots of great experiences for fans and this offering in the Gotham Ballers will continue to be available up to our $1,000,000 maximum. In The Game: If you want to raise your investment to put yourself into a higher Perk package now, of course you can do that. For example, if want to go from $140 package to the $500 package, you would purchase an additional 52 shares or from the $500 package to the $1000 package, you would purchase an additional 72 shares – and then you would be in the higher Perk package. How About An Assist: How can you help? We love your Owners enthusiasm, please share it on social media – and invite others to check it out. Your team would really appreciate it. Coach Wallace Plans to Win the 1st Championship. Thanks to the SB Nation, Ridiculous Upside and Jasmine D Brow for their fantastic feature on John Wallace and the Gotham Ballers. 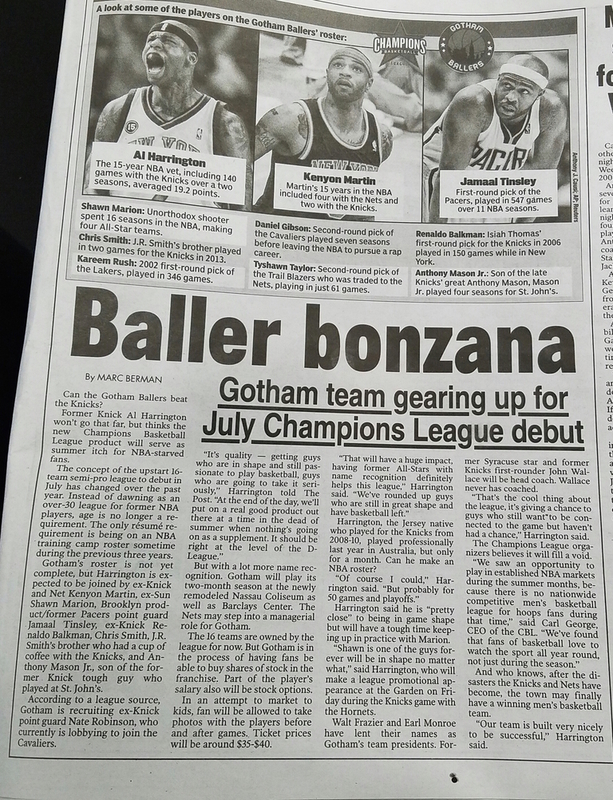 The Future is Bright for the Gotham Ballers and the Champions Basketball League. FULL STORY TEXT: In 2015, The Champions Basketball League was announced, featuring a whole crop of former NBA players that would be playing on 16 individual teams. Die hard basketball fans are definitely in or a treat, for when the NBA Finals are over, they are ushered in to more basketball. This time being former players they have known to love. 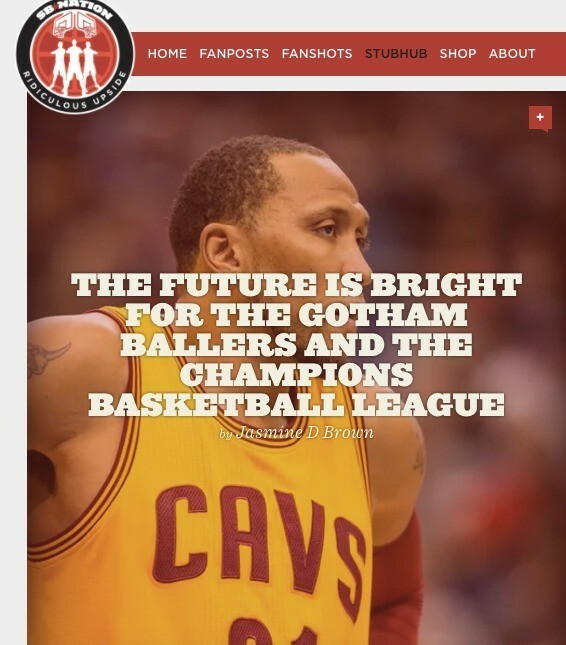 On August 2016, the Champions Basketball League introduced their New York area team, the Gotham Ballers. The roster includes the following: Al Harrington, Kenyon Martin, Shawn Marion, Kareem Rush, Tyshawn Taylor, Jamaal Tinsley, Daniel Gibson, Chris Smith, Anthony Mason Jr and Renaldo Balkman. Perhaps even more intriguing than their roster is how the team is currently offering fans an opportunity to invest in a piece of the Gotham Ballers. The Gotham Ballers has a lot of former standouts, and will be coached by former Knicks forward John Wallace. He describes being the head coach for the team as “incredible.” It’s an amazing opportunity for myself, my family and my friends, said the 2x Syracuse first team All-Big East player. Wallace was elated in talking about the format for the season and said he is ready to get his season started. “It’s going to have more of an All-Star game feel to it. It’s going to be a lot of offensive fire power going on. It’s going to be fun family friendly exciting basketball and I just cant wait for the first game; just roll out the carpet and get this season on its way. The goals for Wallace and the Champions Basketball League were simple, yet inspiring, and that is to be a part of one of the best basketball leagues in the world. It’s obvious that Coach Wallace’s mentality is about winning, and he seems to still present to that old school flair of a winning mindset that was around in his days of basketball. When asked about the goals of the Gotham Ballers, Wallace stated that the goals will always remain the same for years to come. The Gotham Ballers is slated to play a 14 game schedule and will start this July and August. 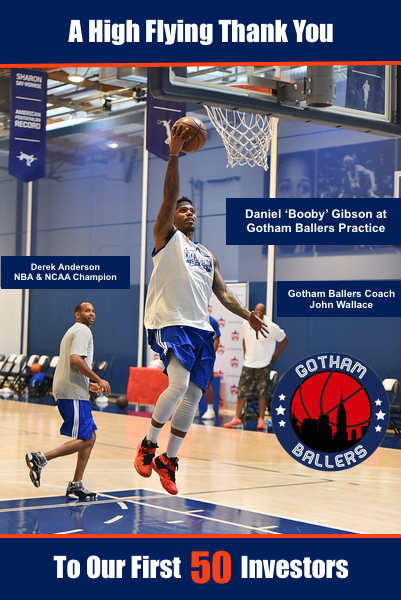 Coach Wallace means business and if his goals and achievements are executed perfectly, the Gotham Ballers would be the team to look out for and possibly the team to put the Champions Basketball League on the map. If that’s the case, basketball fans would sure be able to look forward to, as they’ll be able to see the splash of former talent quench their basketball thirst for the rest of their summer. 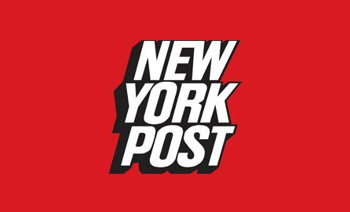 Thanks to the NY Post and Marc Berman for this Feature Today. Can the Gotham Ballers beat the Knicks? Former Knick Al Harrington won’t go that far, but thinks the new Champions Basketball League product will serve as summer itch for NBA-starved fans. The concept of the upstart 16-team semi-pro league to debut in July has changed over the past year. Instead of dawning as an over-30 league for former NBA players, age is no longer a requirement. The only résumé requirement is being on an NBA training camp roster sometime during the previous three years. Gotham’s roster is not yet complete, but Harrington is expected to be joined by ex-Knick and Net Kenyon Martin, ex-Sun Shawn Marion, Brooklyn product/former Pacers point guard Jamaal Tinsley, ex-Knick Renaldo Balkman, Chris Smith, J.R. Smith’s brother who had a cup of coffee with the Knicks, and Anthony Mason Jr., son of the former Knick tough guy who played at St. John’s. According to a league source, Gotham is recruiting ex-Knick point guard Nate Robinson, who currently is lobbying to join the Cavaliers. But with a lot more name recognition. Gotham will play its two-month season at the newly remodeled Nassau Coliseum as well as Barclays Center. The Nets may step into a managerial role for Gotham. The 16 teams are owned by the league for now. But Gotham is in the process of having fans be able to buy shares of stock in the franchise. Part of the player’s salary also will be stock options. In an attempt to market to kids, fan will be allowed to take photos with the players before and after games. Ticket prices will be around $35-$40. Harrington, the Jersey native who played for the Knicks from 2008-10, played professionally last year in Australia, but only for a month. Can he make an NBA roster? Harrington said he is “pretty close’’ to being in game shape but will have a tough time keeping up in practice with Marion. “Shawn is one of the guys forever will be in shape no matter what,” said Harrington, who will make a league promotional appearance at the Garden on Friday during the Knicks game with the Hornets. Walt Frazier and Earl Monroe have lent their names as Gotham’s team presidents. Former Syracuse star and former Knicks first-rounder John Wallace will be head coach. Wallace never has coached. “That’s the cool thing about the league, it’s giving a chance to guys who still want to be connected to the game but haven’t had a chance,” Harrington said. The Champions League organizers believes it will fill a void. And who knows, after the disasters the Knicks and Nets have become, the town may finally have a winning men’s basketball team. “Our team is built very nicely to be successful,” Harrington said. Al Harrington: The 15-year NBA veteran played 140 games with the Knicks over a two-season span, averaging 19.2 points. Kenyon Martin: Martin’s 15 years in the NBA included four with the then New Jersey Nets and two with the Knicks. Shawn Marion: Unorthodox shooter spent 16 seasons in the NBA, making four All-Star teams. Chris Smith: J.R. Smith’s brother played in two games for the Knicks in 2013. Kareem Rush: First-round pick of the Lakers in 2002, played in 346 NBA games. Daniel Gibson: Second-round pick of the Cavaliers played seven seasons before leaving the NBA to pursue a rap career. Tyshawn Taylor: Second-round pick of the Trail Blazers who was traded to the Nets, playing in just 61 games. Jamaal Tinsley: First-round pick of the Pacers, played in 547 games over 11 NBA seasons. Renaldo Balkman: Isaiah Thomas’ first-round pick for the Knicks in 2006 played in 150 games while in New York. Anthony Mason Jr.: Son of the late Knicks’ great Anthony Mason, Mason Jr. played four seasons for St. John’s. GOTHAM&apos;S NOTE: Thanks to Gotham Baller Al Harrington, We are really big Fans Al and NY Post/Marc Berman - See you this summer, Thank You. First Milestone Met Thanks to YOU! Your Gotham Ballers have reached their first milestone, $50,000 in investments. Together, we have proven that fans want to have more from their sports. This innovation you are now at the heart of, celebrating fans and having great games and events all with world class athletes – we will do this All Day Long. The communication with you, really has us inspired. Your piece of the game, this is Your Team. We see you posting about it on Facebook, Twitter and Instagram - and it is exactly what we hoped would happen - a dedicated group of passionate fans can help us change sports. In The Game: If you want to raise your investment to put yourself into a higher Perk package now, of course you can do that. For example, if want to go from $140 package to the $500 package, you would purchase an additional 52 shares or from the $500 package to the $1000 package, you would purchase an additional 72 shares – and then you would be in the higher package price. Rally Time: How can you help? We love your Owners enthusiasm, please share it on social media – and invite others to check it out. Your team would really appreciate it. Getting to Watch Glory In The Making. 100 investors! Thank you to all our investors and those that have shared your Ownership on social media. This is Your Team, keep it up. Your pride already has us beaming. The chatter is LOUD about your Gotham Ballers taking home the hardware at the Championship this year. We are getting a lot of questions about attending practice and the Championship - so here are some more details. PRACTICES: Any Owner In The Rookie Team Package and above ($500+) can attend team practices for free - and only Owners can attend. Practices are at the arena and feature the Gotham Ballers doing drills and inner squad scrimmages. The events will be fun - with a DJ, event host and contests for Owners in attendance. Owners are able to bring guests with them to practice, use the Owners Door and get the total insider experience. Once the game schedule is announced this spring, Owners will receive the dates and times of the scheduled practices. This Perk lasts as long as you are an owner, not just one season - Thru the Owners app, Rookie Team Package Owners can RSVP for the practice, and bam, you are seeing Glory in the making. CHAMPIONSHIP: Imagine a college-style tournament, 16 pro teams, fierce competition/winner takes all million dollar outcome weekend in Vegas, with exclusive Owners events and the chance to see YOUR Gotham Ballers be the very first Champions of the League. The Championship will be in September. Owners can order tickets to games and parties from the Owners App. There will be hotel and travel partnerships available to Owners. All of these details will be shared once as the season approaches. The Championship team Owners will also have access to the exclusive Champions merchandise. Who is ready for Glory? We love to share inside stuff with you, it&apos;s what being an Owner is all about. Here is a pic from a Gotham Ballers team practice in Los Angeles. Enjoy. Thank you and GameOnNY. Again thank you for being on the team. Thank You To Our First 50 Investors. Thank You from the Gotham Ballers to our first 50 investors. You are helping us create the most fan friendly league ever. We can&apos;t wait to meet you all at our games and events. As our small token of appreciation. Here is an insider photo we thought you would like of a past practice and private scrimmage while we were placing players onto teams, featuring your New York Gotham Baller, Daniel Gibson. Be watching for more updates, more exciting news - and please share this opportunity with other fans. Teamwork makes the dream work.